Your home is your shelter from the natural world; a safe, controlled environment where you can shut out the weather, hungry animals (if any exist in your region – and imaginary ones if they don’t) and the many other uncertainties and potential dangers of the wilderness. And yet most of the very most beautiful forms in the world are those imagined not by humans, but by nature. Architects, artists and designers continually draw inspiration from nature’s beauty, striving to imitate synthetically the uniquely appealing shapes and colours that have emerged organically through evolution. Whether attempting to incorporate the natural curve of a petal into the design of a chair or working extra-hard on a piece of wood to make it “unfinished”, so much of designers’ time is spent examining nature and trying to recreate what is found there. In this ideabook, we’ve collected some of the most interesting examples of the world of man following the lead of the world of nature. Foxes may be related to man’s best friend, but unlike their domesticated cousins they’re not typically considered desirable house guests. There’s no denying they’re cute and cuddly, though, and if they would only be so kind as to be a little bit more approachable they’re probably make very popular pets indeed. 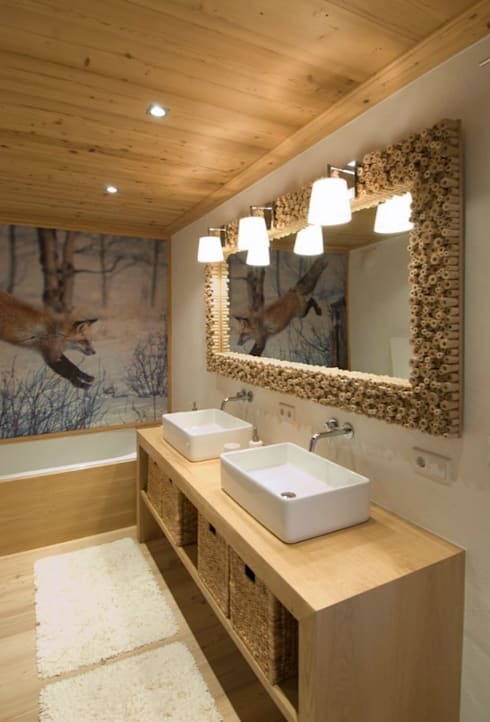 Since friendly foxes are hard to come by, however, you’ll have to make do with this wintery, yet strangely cosy, bathroom. The forest scene that forms the backdrop is a good match for the natural, muted colours of the rest of the room, and in particular the unique mirror frame and wood-sided bathtub. 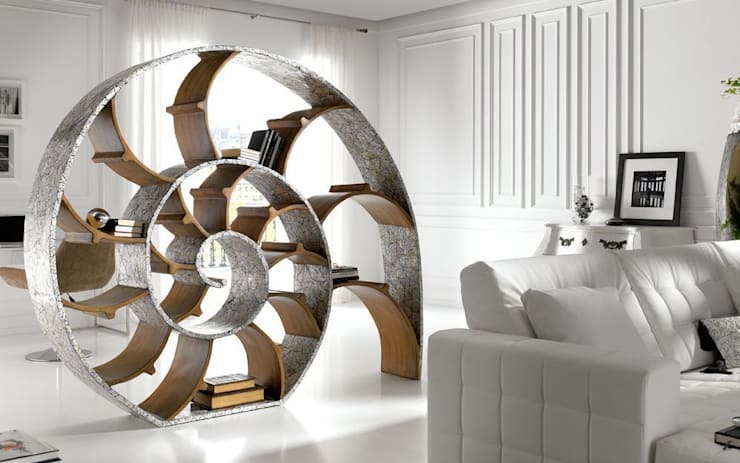 This bookcase is a jaw-dropping masterpiece of nature-inspired craft, and would be a wonderful focal point for most rooms. The simple design of a shell is one of the most frequently plagiarised pieces of nature’s handiwork, and it’s easy to see why. There’s just something about the beauty of a curve that draws the human eye irresistibly. In this instance, the shape has been used especially innovatively, as a bookcase is an item that traditionally lies very much upon straight lines and right angles, so to create one without any at all is quite the feat. 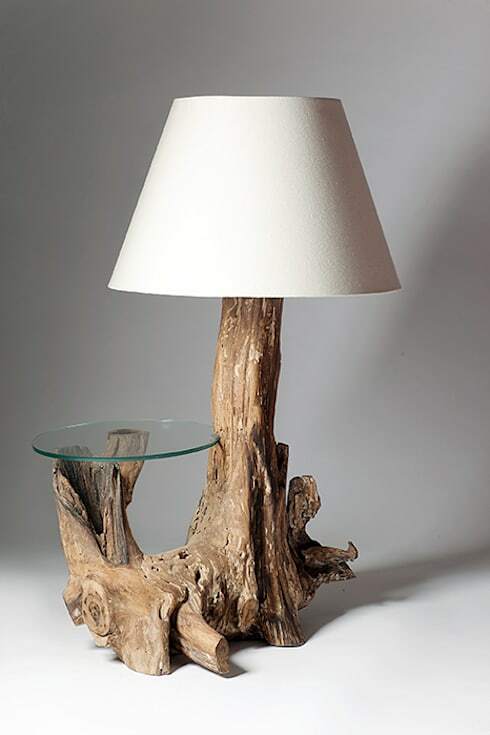 This multi-functional piece seems to have grown naturally out of the ground. It’s not only a very original idea, but also certainly a piece that you could honestly say was absolutely one-of-a-kind; even if similar tables exist, the wood that forms the base will always be totally unique and will bring its own personality to the design. 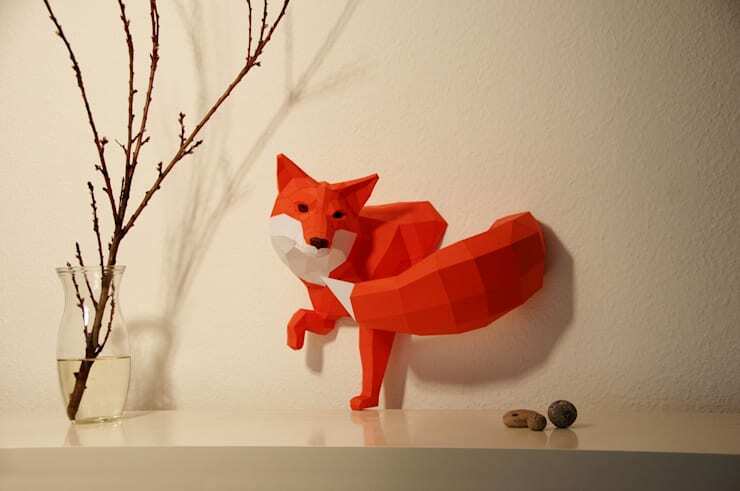 Another uncharacteristically friendly fox makes it way onto the list—this time in 3D. Wolfrram Kampffmeyer’s unusual paper sculptures give you the chance to bring practically the whole ark into your home. And the best part? You can put them together yourself. Assembling an army of loyal animals could be one of the very loveliest ways to spend a rainy Saturday afternoon in. 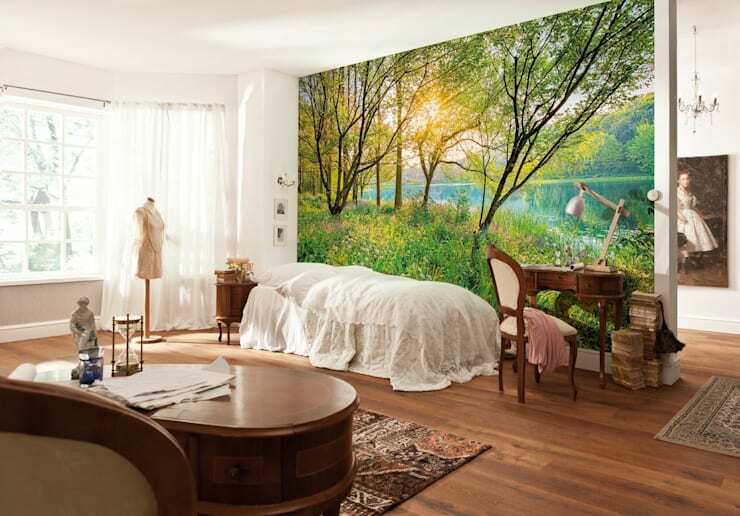 This wallpaper brings spring freshness into the bedroom, in this case combining wonderfully with the white curtains, white bedclothes and huge, bright windows to create a sense of newness and light. The classic, dark wood furniture and Turkish carpets, while certainly beautiful, could leave this room with a little bit of the stuffy Victorian library about it; but the sheer scale of the lovely spring scene in the background makes it impossible to ignore and totally negates any sense of staleness.